Analyzing big data for actionable insights is one of today’s critical challenges in computing. Neither human analysts nor automated algorithms alone have the ability to answer subtle, deep questions from very large abstract datasets. Visualization of large datasets in virtual reality (VR) or augmented reality (AR) can help analysts spot trends and outliers, but visualization by itself is not sufficient either. In this talk, I will review research on the benefits of immersion for spatial data understanding and effective interaction methods for AR/VR. I’ll contrast immersive analytics with traditional visualization, and propose the concept of Immersive Space to Think (IST). In IST, human analysts use immersive virtual reality (VR) to view and organize data items such as documents. The immersive 3D environment becomes a cognitive affordance with nearly unlimited space so that the analysis process can be externalized. At the same time, analytic algorithms and data models support analysis by displaying information such as related data items, similarity or credibility estimates, and text summaries. Finally, IST understands the semantics implied by observations of users and their interactions, and uses these to modify and guide the underlying algorithms. Based on the use case of analyzing the credibility of news, I’ll describe a broad research agenda to learn how to design effective IST systems and to gather evidence of the benefits of the IST approach. Doug A. Bowman is the Frank J. Maher Professor of Computer Science and Director of the Center for Human-Computer Interaction at Virginia Tech. He is the principal investigator of the 3D Interaction Group, focusing on the topics of three-dimensional user interface design and the benefits of immersion in virtual environments. Dr. Bowman is one of the co-authors of 3D User Interfaces: Theory and Practice. He has served in many roles for the IEEE Virtual Reality Conference, including program chair, general chair, and steering committee chair. He also co-founded the IEEE Symposium on 3D User Interfaces (now part of IEEE VR). 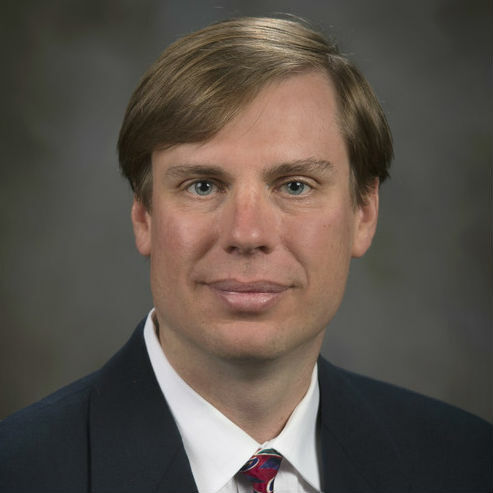 He received a CAREER award from the National Science Foundation for his work on 3D Interaction, and has been named an ACM Distinguished Scientist. He received the Technical Achievement award from the IEEE Visualization and Graphics Technical Committee in 2014. His undergraduate degree in mathematics and computer science is from Emory University, and he received his M.S. and Ph.D. in computer science from the Georgia Institute of Technology.